This post is the first in a continuing series in the category "Utopia Story" which follows the story of Utopia - Revisiting a German State in America. Use the categories bar at the right to search for all posts in this category. 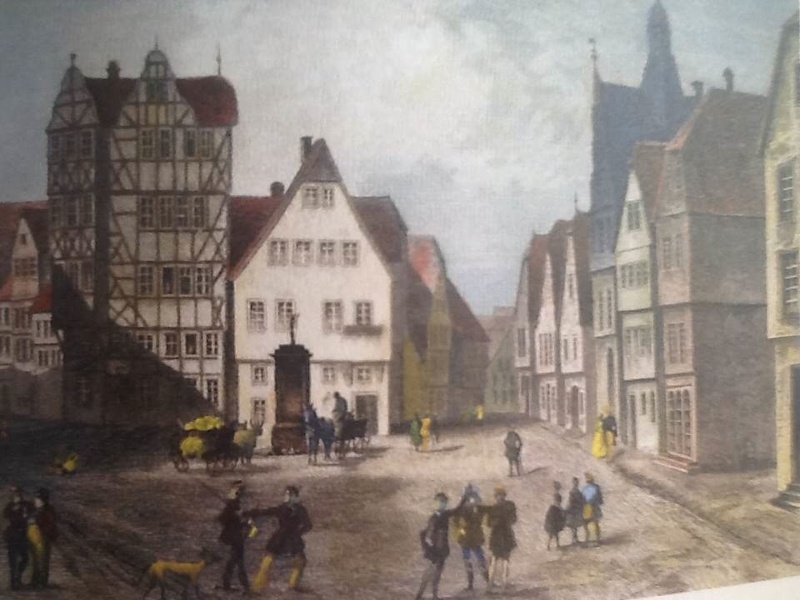 In 1799, the year that Giessen Emigration Society founders Friedrich Muench (1799-1881) and Paul Follenius (1799-1844) were born, Germany was in turmoil. Oppressive governments, kingdoms, and dukedoms all bowed to one King. The success of the American Revolution had sparked similar unrest worldwide. In France, Napoleon marched eastward after success in his home country. As the western border of Germany, Alsace-Lorraine, became overtaken, Germans experienced many new civil liberties that had been unknown to them. Fearing that this would lead to further advancement by Napoleon, the King suggested that if Germany would defeat the French foe, that these same liberties would be allowed in Germany. 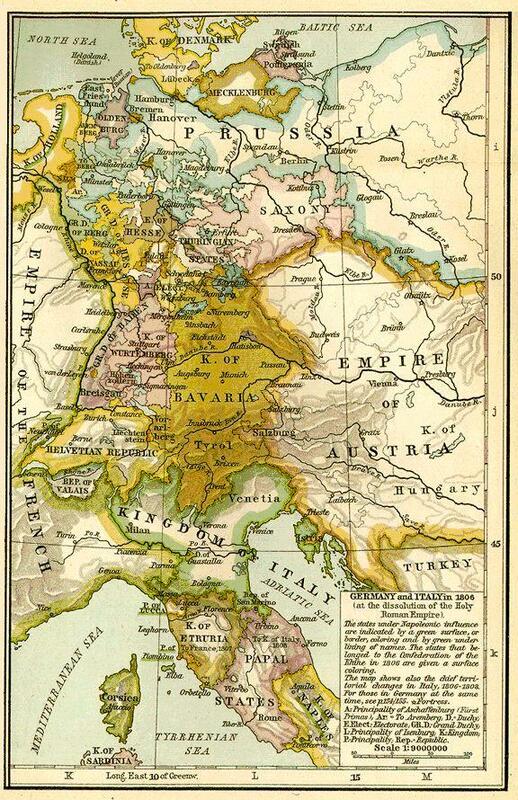 Following Napoleon’s defeat though, the Confederation on the Rhine, a gathering of Germany’s rulers, failed to follow through with this promise. Change had been witnessed, and these strange new liberties had been tasted, and the desire had not left Germany. The youth were not willing to return to the old ways and wanted the changes they had been promised. In the Universities across Germany, young men would gather in their fraternities and make plans. At the University of Giessen, the young Follen brothers led the ‘Giessen Blacks’ so called for their attire, their long black cloaks. 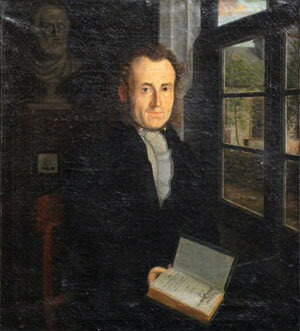 Theology student, Friedrich Münch, had come from the small nearby village of Nieder Gemünden, just as his father and older brother Ludwig had before him, to obtain his education. Educated at home by his father, George Münch, the young man felt as if a strange new world had opened before him, as he was caught up in the desire for change. There he would meet Paul Follenius, whose family from Romrod in Hesse were leaders in this radical movement. 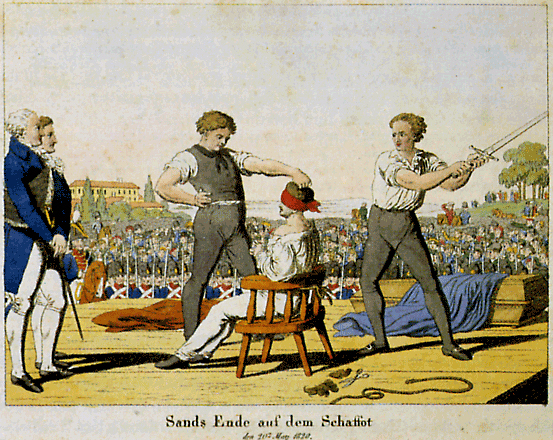 Karl Sands’ actions had reflected on his mentor Karl Follen (1796-1840). (Two of the Follenius brothers, Karl and August, had shortened their name to Follen.) Follen had written a small treatise that suggested that a safe haven, a refuge or place to disappear could be found in the new young country of America. If a small seed, such as a University, could be founded – perhaps a colony could arise. Colonization was not a new idea, and had been used by ancient governments as a peaceful intrusion in new lands. But before Karl Follen could follow through with his own plan’s suggestion, he was forced to quickly flee. First to Switzerland, then France, before coming to Boston in the U.S.. There he served at Harvard’s first German professor. Soon, others would be pressed by the government, as they were cast under suspicion for their activities.